Snow Bunting: John Purves Photo. A pair of Eurasian Collared Doves and four Evening Grosbeaks are visiting feeders in a yard along Tulsa Road in Nanaimo. A Snow Bunting was seen at the point at Deep Bay. Seven Trumpeter Swans were spotted flying over Meridian Way in Parksville. A Varied Thrush is visiting suet feeders on an apartment balcony along Boundary Crescent in Nanaimo. 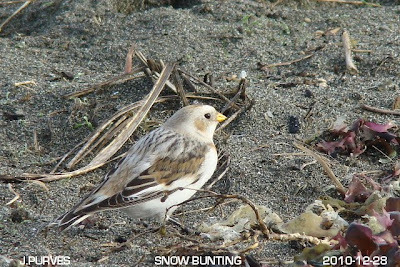 Snow Bunting at Deep Bay: John Purves Photo. A female Yellow-rumped Warbler was seen in a backyard in the 2500 block of Glenayr Drive in Nanaimo and four Trumpeter Swans and a Bald Eagle were seen flying over the yard. Large numbers of Dark-eyed Juncos, Spotted Towhees, Chestnut-backed Chickadees, four Varied Thrush and sixteen Evening Grosbeaks were visiting feeders in a backyard along the 600 block of Lancewood Avenue in upper Lantzville. A Barred Owl was seen and photographed at Buttertubs Marsh in Nanaimo. The Tuesday bird walk went to Columbia Beach, The morning was cloudy and the wind off the water was very strong. The tide was high. 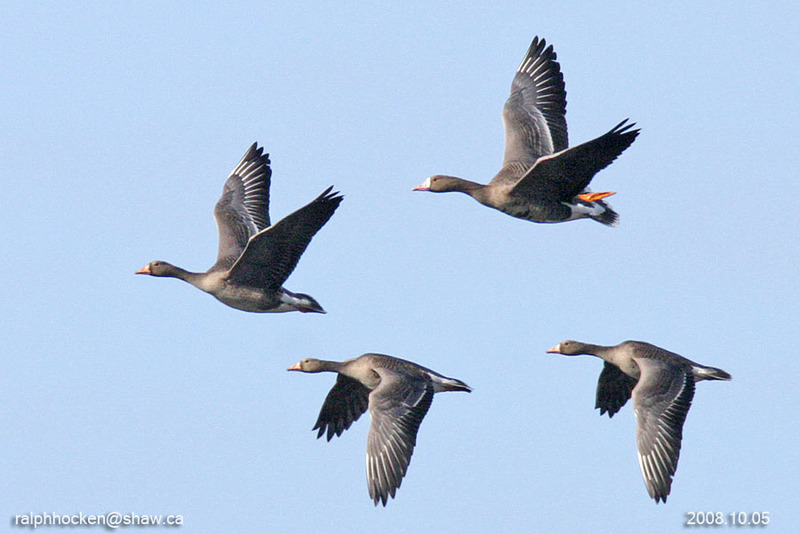 We saw a flock of twenty Brant Geese flying high overhead and seven Brant flying low over the water--all heading down the Strait of Georgia. Rafts of Harlequin Duck, Surf Scoters, White-winged Scoters, Black Scoter, Bufflehead, Common Goldeneye, Pacific Loons, Common Loons, Horned Grebe's, Red-necked Grebe, Double-crested Cormorants and Pelagic Cormorants were seen not far offshore bouncing on the hugh waves. Brant, American Wigeon, Mallard, Harlequin Duck, Surf Scoter, White-winged Scoter, Black Scoter, Bufflehead, Common Goldeneye, Common Merganser, Red-breasted Merganser, Pacific Loon, Common Loon, Horned Grebe, Red-necked Grebe, Double-crested Cormorant, Pelagic Cormorant, Bald Eagle, Black-bellied Plover, Black Oystercatcher, Black Turnstone, Mew Gull,California Gull, Thayer's Gull, Western Gull, Glaucous-winged Gull, Common Murre, Rock Pigeon, Anna's Hummingbird, Northern Flicker, Northwestern Crow, Common Raven, European Starling, Spotted Towhee, Song Sparrow, White-crowned Sparrow and House Sparrow. A Snow Bunting was seen and photographed at Deep Bay near the point. in the 800 block of Patrick Drive in Parksville. Fifteen Evening Grosbeaks, a Fox Sparrow, a flock of American Goldfinch, a Bewick's Wren, Dark-eyed Juncos, several Northern Flickers, Steller's Jay, a Pileated Woodpecker, Anna's Hummingbirds and House Finch are visiting feeders on a third floor balcony in the apartments behind the Firehall at Parksville. 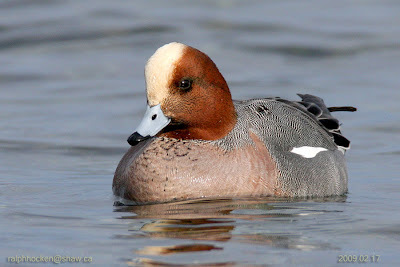 The Tuesday Bird Walk on January 04, 2011 will be going to Rathtrevor Provincial Park. We will meet at the Parksville Beach Community Park, at the parking area in front of the Lions Playground at 9 A.M. or at the main parking area at Rathtrevor Provincial Park at about 9: 15 A.M.--"Please note there is a parking fee at Rathtrevor Park"! We will meet at the Backyard Store at 9:00A.M. or the parking area behind the Church Camp (off Nanoose Beach Road and Highway 19) at about 9:20 A.M.
Evening Grosbeak: Photo by Malcolm. The Sunday bird walk was cancelled this week, because of the drippy weather. "Correction"-- We Id'ed a bird as a Nashville Warbler on December 04. After examining a new photo of the bird, we determined that it is actually a MacGillivray's Warbler. He is still visiting suet feeders in a backyard in the Maple Glen Estates in Parksville. Thirty-six Evening Grosbeaks are visiting feeders along Lakeside Drive in the Cinnabar Valley area of south Nanaimo. Evening Grosbeaks are visiting feeders along Killarney Place in Nanaimo. An Bald Eagle was spotted building a nest on the water side of highway 19a near the mini-golf course in Parksville. 200 Snow Geese were spotted flying over the 1400 block of Dawson Road in Nanoose Bay. The Tuesday bird walk went to the Englishman River Estuary, Shelly Road side. The morning was cloudy and quite cool with a breeze off the water. Among the highlights was the sighting of twelve Brant Geese, California Gulls, Common Loon, Black Turnstone's and a Western Gull near the meeting spot at Parksville Bay. We saw a Hermit Thrush on the trail near a large conifer tree. 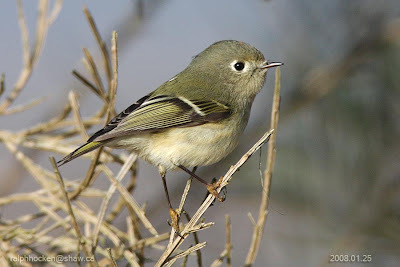 A large mixed flock of Golden-crowned Kinglets and Ruby-crowned Kinglets kept us entertained as they moved along the ground feeding. We spotted three Gadwall and three Eurasian Wigeon on the estuary. Steller's Jay, Northwestern Crow, Chestnut-backed Chickadee, Bushtit, Brown Creeper, Golden-crowned Kinglet, Ruby-crowned Kinglet, Hermit Thrush, American Robin, European Starling, Spotted Towhee, Song Sparrow, Golden-crowned Sparrow, Dark-eyed Junco, Red-winged Blackbird, Brewer's Blackbird, House Finch, Pine Siskin and American Goldfinch. Three Common Mergansers and three pairs of Ring-necked Ducks were seen on the Brookwood Beaver Pond near Brookwood Drive in north Nanaimo. Six Varied Thrush and Two Fox Sparrows were seen visiting feeders in a yard at Brookwood Drive and Woodwinds Street in north Nanaimo. 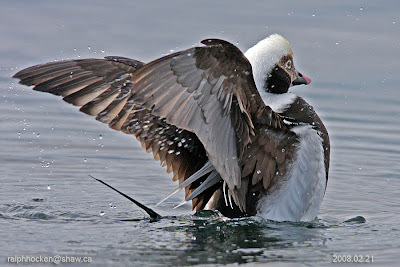 The Tuesday Bird Walk on December 21, 2010. will be going to Columbia Beach We will meet at the Parksville Beach Community Park, at the parking area in front of the Lions Playground at 9 A.M. or at the parking area off Admiral Tyron Bld. (turn at Columbia Drive on the ocean side of Highway 19A opposite Windsor Plywood, follow Columbia Drive until you come to Admiral Tyron Bld, turn right go about 100 yards and turn left unto the parking area) at about 9: 15 A.M. This is the last Tuesday bird walk for 2010. 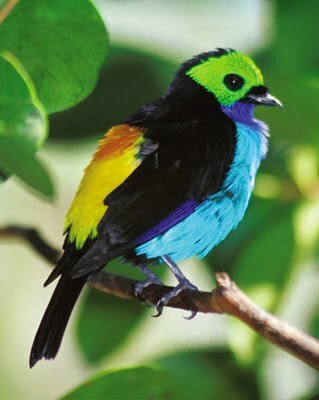 Paradise Tanager in Peru: Photo from the internet. I have enclosed the list of 431 species of birds that Marilynne and I saw on our birding trip to Peru, from November 06 to November 27, 2010. There was light rain and it was quite cool but the winds were calm. The highlights of the morning included seeing a Greater White-fronted Goose and a Canada Goose just overhead. We saw a Virginia Rail come out of the weeds, giving us great close looks at him. We saw and heard a flock of twelve Common Redpolls in a Alder Bush not far from us. Canada Geese, Greater White-fronted Geese, Doubled-crested Cormorant, Mallard, Hooded Merganser, Bufflehead, Ringed-necked Duck, Great Blue Heron, Glaucous-winged Gull, Virginia Rail,Red-tailed Hawk, Merlin, Northern Flicker, Downy Woodpecker, Rock Pigeon, American Robin, Cedar Waxwing, European Starling, Steller's Jay, Common Raven, Northwestern Crow, Belted Kingfisher, Bewick's Wren, Golden-crowned Kinglet, Chestnut-backed Chickadee, Spotted Towhee, Song Sparrow, Golden-crowned Sparrow, Fox Sparrow, Pine Siskin, Common Redpoll, Dark-eyed Junco, Red-winged Blackbirds, Brewer's Blackbird, House Finch and House Sparrows. A Mute Swan was spotted near Newcastle Island at Bate Point across from the Yacht Club in Nanaimo. A Harris Sparrow has been visiting feeders along Green Lake Crescent in north Nanaimo. An Anna's Hummingbird has been observed in a yard for the first time in the 4300 block of Alderwood Drive in Port Alberni. Twenty-four Pine Siskins are visiting feeders in the 200 block of Dawkins Lane in Nanaimo. A White-throated Sparrow, a Lincoln's Sparrow, a Townsend's Warbler and three Golden-crowned Sparrows are visiting feeders in the 5300 block of Hammond Bay Road in north Nanaimo. 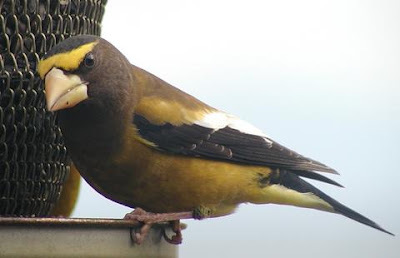 Ten Evening Grosbeaks were seen near Stewart Road and Drake Street in Nanaimo. The Tuesday bird walk went to Deep Bay. The morning was windy with lots of rain. The surf was up and pounding on the shore--it was a winter storm in the making for sure! The highlights of the morning included a large number of Long-tailed Ducks just off the Point and a large mixed flock of Black Turnstones and Dunlin just along the shoreline. Canada Goose, Mute Swan, Trumpeter Swan, American Wigeon, Mallard, Harlequin Duck, Surf Scoter, White-winged Scoter, Black Scoter, Long-tailed Duck, Bufflehead, Common Goldeneye, Common Merganser, Red-breasted Merganser, Pacific Loon, Common Loon, Horned Grebe, Red-necked Grebe, Double-crested Cormorant, Pelagic Cormorant, Great Blue Heron, Bald Eagle, Black Oystercatcher, Black Turnstone, Dunlin, Mew Gull, Glaucous-winged Gull, Rock Pigeon, Northwestern Crow, Common Raven, American Robin, Varied Thrush, European Starling, Spotted Towhee and White-crowned Sparrow. Eight Evening Grosbeaks were seen in a backyard along Cosgrove Crescent in north Nanaimo. Evening Grosbeaks are visiting feeders in the 6900 block of Lancewood Drive in upper Lantzville. 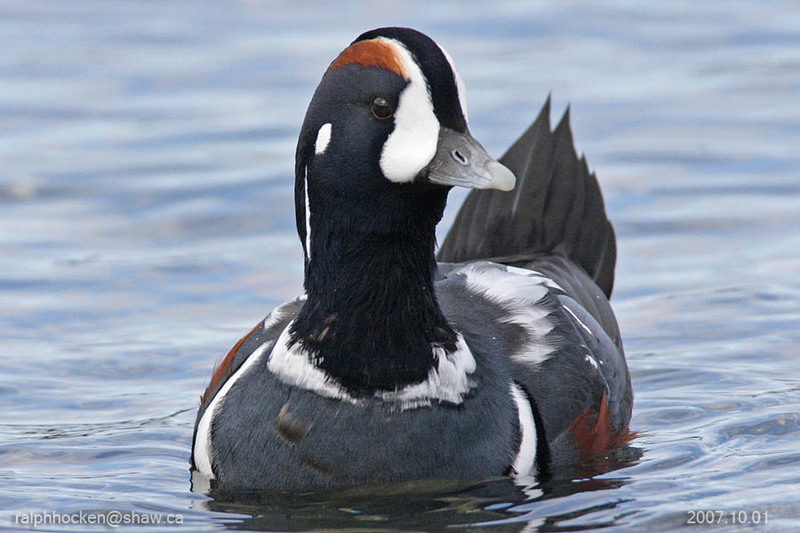 While doing the Coastal Survey a SMEW drake was spotted off of Downes Point Hornby Island. The Tuesday Bird Walk on December 14, 2010. will be going to the Shelly Road side of the Englishman River Estuary in Parksville. We will meet at the Parksville Beach Community Park, at the parking area in front of the Lions Playground at 9 A.M. or at the end of Shelly Road, on the ocean side of Highway 19A at about 9: 10 A.M.
We will meet at The Backyard Bird Store at 9:00 A.M. or at the parking lot behind the Church Camp at about 9:20 A.M.
"While doing the Coastal Survey my partner and myself spotted a SMEW drake off of Downes Point Hornby Island on November 14th 2010. Whoo!" The bird store received this report today, December 12, 2010. Long-tailed Duck; Ralph Hocken Photo. European Starling, Spotted Towhee and White-crowned Sparrow. The morning was clear and quite cool but the winds off the Strait of Georgia were calm. Mallard, Northern Pintail, Bufflehead, Pacific Loon, Common Loon, Double-crested Cormorant, Pelagic Cormorant, Common Goldeneye, Surf Scoter, White-winged Scoter, Harlequin Duck, Horned Grebe, Red-necked Grebe, Common Merganser, Red-breasted Merganser, Marbled Murrelet, Ancient Murrelet, Common Murre, Great Blue Heron, Black Turnstone, Black Oystercatcher, Bald Eagle, Glaucous-winged Gull, Northern Flicker, Northwest Crow, Steller's Jay, Chestnut-backed Chickadee, Ruby-crowned Kinglet, Brown Creeper, Bewick's Wren, Pacific Wren, Golden-crowned Kinglet, Belted Kingfisher, Anna's Hummingbird, American Robin, Varied Thrush, Spotted Towhee, Dark-eyed Junco, House Finch and Song Sparrow. A MacGillivray's Warbler is visiting feeders in a backyard in the Maple Glen Estates near Chestnut and Hirst in Parksville. A Lincoln's Sparrow is visiting a backyard in the in the 5300 block of Hammond Bay Road in north Nanaimo. A Northern Mockingbird seen in Nanaimo near the corner of Doumont Road and Eyelash Road. The bird was first seen Thursday morning about 9:00 am and then again at 11:35 am on a fence post in a farm field. If traveling on Doumont Road from Metral Drive the bird was located in a field just past Eyelash Road on the right side with some farm equipment. The Sunday Bird Walk on December 11, 2010 will be going to Buttertubs Marsh in Nanaimo. We will meet at The Backyard Bird Store at 9:00 A.M. or at the parking lot off Bowen Road at about 9:20 A.M. The Macaw Lek along the Manu Reserve in Peru. Planes, Trains, Boats and Automobiles....In November Neil and Marilynne traveled from Vancouver, to Lima, Peru by plane; from Lima to Cusco by plane; from Cusco to Manu by bus and from Manu to Puerto Maldonado by boat; up to Machu Picchu by train and then back to Cusco and Lima by plane and then Home! A trip of a life-time with 477 new species of birds to make it even more memorable! Just received a report of a Northern Mockingbird seen in Nanaimo near the corner of Doumont Road and Eyelash Road. The bird was first seen Thursday morning about 9:00 am and then again at 11:35 am on a fence post in a farm field. If traveling on Doumont Road from Metral Drive the bird was located in a field just past Eyelash Road on the right side with some farm equipment. Please report any further sightings to the store.